Click on the Settings icon from the top right corner. Then go to Site Contents, this will open the site contents page. 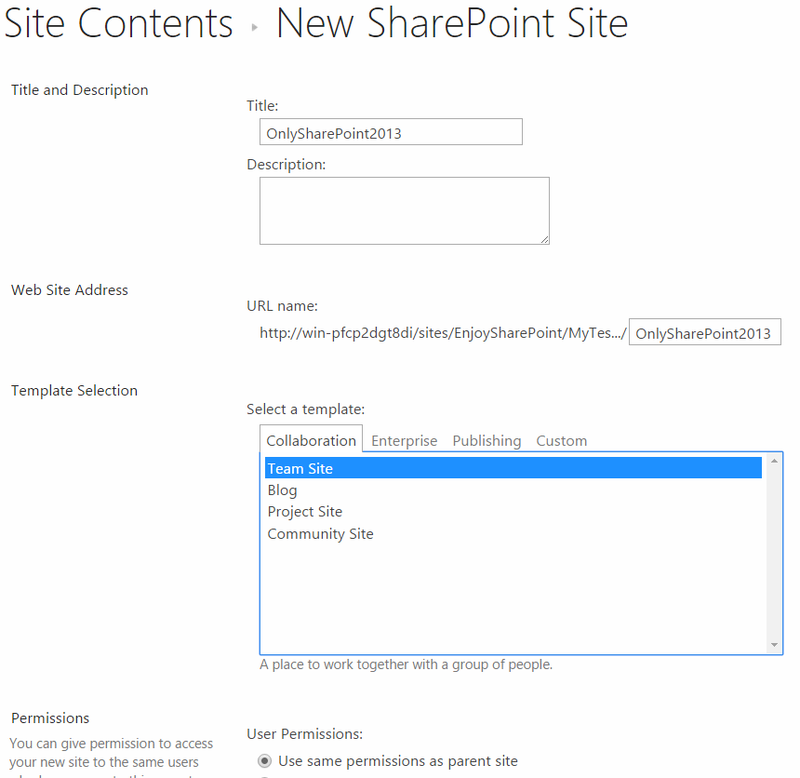 In the New SharePoint Site page, give a Title, Description and the Web Address. Then choose the Template, here we have choosen Team site. If you want the subsite to use the same parent site permission, then in the Permission section select Use same permission as parent site. Then click on Create this will create the sub site.